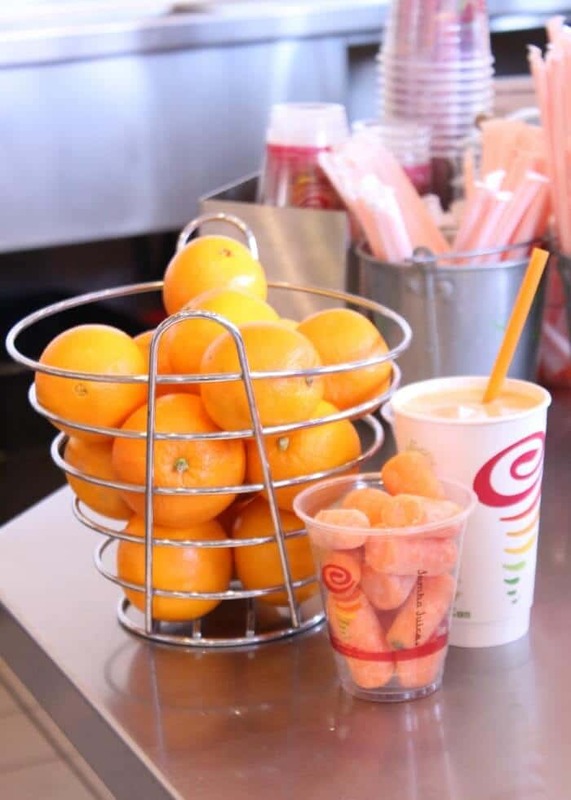 Jamba Juice recently invited DNH to an event where they would be showcasing some of their new offerings. The timing couldn’t be more perfect. With my bestie and I getting into some serious juicing this month along with how koo-koo my family has been about smoothies, I knew I needed to get the scoop. The kids and I headed down and were eager to hear more. 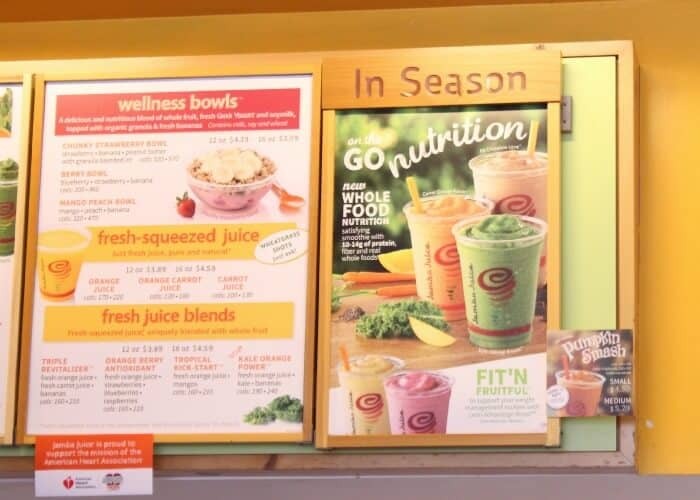 We learned a few things about the direction Jamba Juice is headed as well as some interesting facts about the fruit and vegetable consumption in America. Did you know that according to the USDA My Plate guidelines, only 38% of Amercians are getting the recommended amount of FRUIT in their diet? 63% are getting the recommended amount of vegetables. 38%!!!! That is crazy town! Kale-ribbean Breeze – One of the new Whole Food Nutrition ™ smoothies – blend of mangos, kale, passion-mango juice, fresh nonfat Greek yogurt and chia seeds. 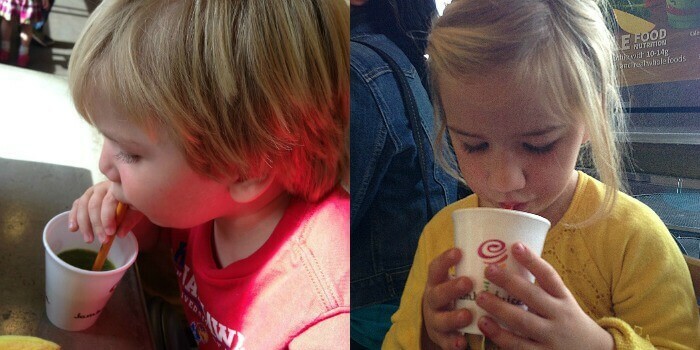 The kids drank them up like nobodies business. Big surprise for this mom was how much Diapers-n-Heels boy loved the Kale-ribbean Breeze. Gobbled up all of his and part of mine. LOVE IT!!! 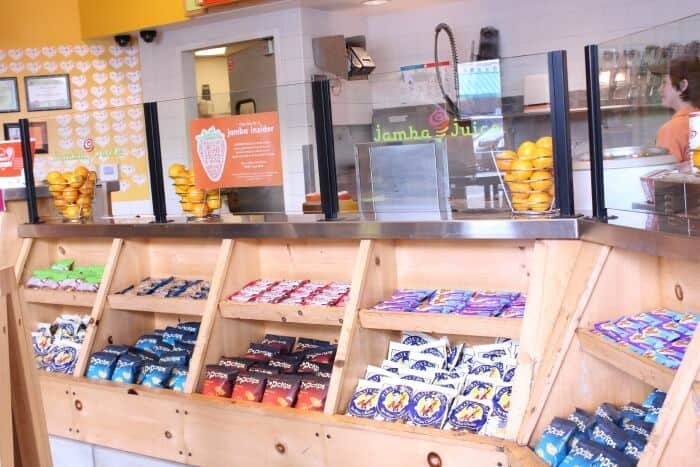 They were all really tasty and I really appreciated how Jamba talked openly about moving away from the added sugar and any artificial flavors and moving into pressed juices and letting the fruit sugars stand their own. Makes this Momma happy! We also learned about a fun new app. Its a free ISIS Mobile Wallet app and consumers who download the app on their ISIS-enabled mobile device can get one small Jamba Juice Smoothie or 12oz. 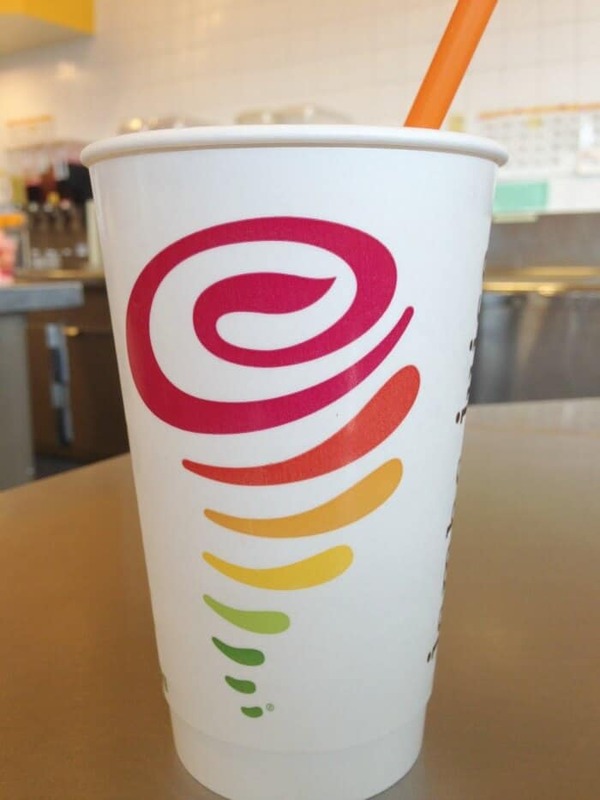 Juice per day at all participating US Jamba Juice locations until they company gives away a total of 1 million smoothies!!! Uhhh-mazing right???? I love that Jamba Juice wants you to go in and try something new. I was really impressed at the changes they have made towards bettering their offerings and loved how much the kids enjoyed their drinks. We even stopped in just this past weekend, and the hubs and I were in ahhh that it was standing room only. And this was after the 15 person basketball team left!! AWESOME! This leads me into the even more exciting part. 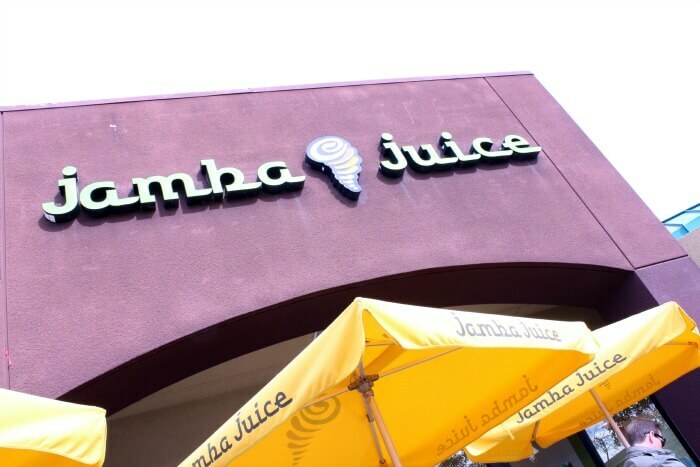 Jamba Juice wants Diapers-n-Heels readers to come in and taste some new drinks too! We’re giving away a $20 gift card!!! Whoop Whoop! I’ve had one of their smoothies before, and it was really good! I wouldn’t mind trying the Peach Mango Fit ‘n Fruitful Smoothie.